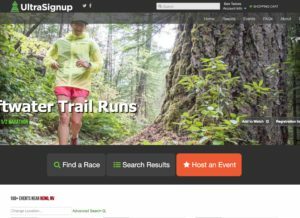 If you are like me the first thing you are going to do before starting to prepare for your fist ultra distance race is to google all your questions about running an ultra distance race. You will then quickly realize that there are many many answers to your questions and they vary greatly. This article will hopefully provide you with some of the basics to prepare your for a successful and enjoyable first ultra. First off, what is an ultra race? It is any race longer than a 26.2 mile marathon. They are generally run on trails and often in mountains. Like cycling, hitting the trail instead of the road often comes with a slightly more rugged and less polished culture. For starters, finishing times are often less important where as in marathon or road racing everyone always talks about their PR, etc. That simply doesn’t happen in trail running because the courses vary so much. They are impossible to compare. Also there are a variety of approaches to training. 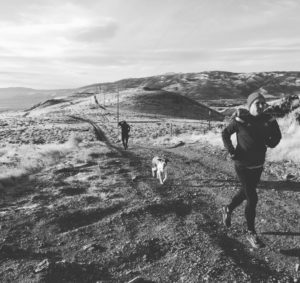 Some people focus on getting specific miles, some on elevation gain, some on variation and periodization while others do quite well by simply “going out for runs”. You first ultra should be shorter (think 50k) and something that isn’t too difficult. You should pick a race that is organized well and does not have too much elevation gain. You may also want to plan to do it with another runner so you can strategize and help each other prepare. Local races are also great because then you get the comfort of sleeping in your own bed, eating your own food and minimizing the planning portion of it. Make sure to register well in advance so you can begin training with that first ultra in mind. Do not sign up at the last moment as you will most likely have a less enjoyable time. This is the most important part of preparing. You will want to train both your mind and your body to be ready on race day. To do this you will want to learn as much as you can about how to train right and use your time efficiently without getting injured. I highly recommend a coach to begin this process. If that is not an option for you then you will want to try to do as much research and reading as you possibly can. There are many aspects to training and doing it the best you can will only make your race more enjoyable and successful. Writing a training plan well in advance is a great way to keep you on track and to systematically build up to the new distance. Again, a coach will help you write this but there are many resources available online. I highly recommend becoming a student of training. There is a lot that can be learned and it is never ending. When race day rolls around you should be in a good mental state and know that you have hit low points in training and overcome them and that your race will be no different. You will want to test out different items before you race. You will want to run with something that can carry water or sports drink. The two most common options are handheld water bottles or a hydration vest. Reno Running Company carries many of these and one of our employees can help you get the right fit/size. Vests are getting pretty comfortable these days and are great for carrying not only water, but gels or other nutrition as well as your phone, windbreaker, hat, etc. Handhelds are great because they give you a greater sense of minimalism and freedom around your upper torso. Since you are carrying it in your hand it is easy to remember to drink frequently as well. Lastly you will need to feel confident in a shoe that you can run long distances in. 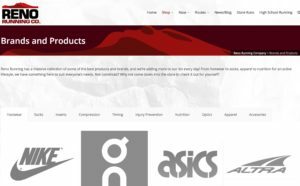 Buy a pair that a specialist has fit for you like the great employees at Reno Running Company. Once you have a great shoe for your stride, body type and type of running you will be doing then you need to start logging the miles in them. If you find that you can run really far and not get blisters then you are probably in the right shoe. Some people buy another pair that they keep nicer and save for race day. In my many years of ultra running I’ve come to learn that this is the absolute most important part of nailing a good race. You can be the fastest and fittest runner out there but if you run an ultra race and do not have a hydration and nutrition plan for race day you will most likely have a miserable race. Learn what works best for your stomach and practice it in training. Calculate how many calories you will burn per hour and eat accordingly. Over the years as a general strategy I have learned to eat a gel every half hour and drink one full water bottle in between every aid station. This varies greatly depending on the course, weather, distance between aid stations, etc. 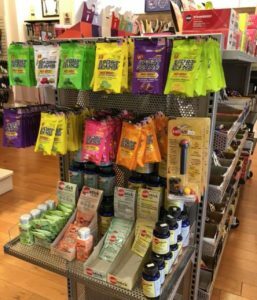 There are many options available so again, stop by your specialty running store and talk to the employees about what they recommend to begin testing. The most important thing to remember is to really have a well thought out strategy and stick to it as best you can. This will free up your mind from having to think about it during the race. It is easy to mess up hydration and nutrition if you are just winging it and going off of feel because during the race you won’t feel like eating or drinking when you absolutely should be. Have a plan and execute it! Hopefully you will have studied the course profile, aid station location, weather, time cutoffs maybe. Just be prepared for all the details of the race. Then think of it as another training run but a bit longer and a bit faster. Wear what you always would wear. Eat and drink what you have been practicing with. Lastly be confident that you have put the work in and whatever race day throws at you will not be new and you will be able to overcome it. Remember that ultra races are not quite as competive as road running. Make sure to high-five the aid station volunteers and thank them. Have fun with the other runners on the course, make some friends and enjoy the amazing wilderness ultras often take place in. Remember you are out there to push your limits and have fun. Be tough and don’t quite. You may feel bad near the end, but pushing through it will be very rewarding. As you sit at the finish line eating, drinking and sharing your adventures take it all in and be proud of your new accomplishment. 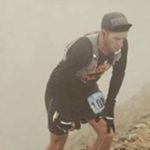 Please let me know if you are preparing for your first ultra race or what you learned from your first race in the comments below!